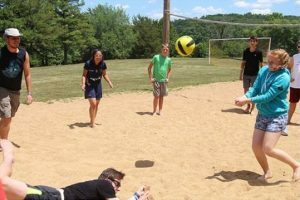 We caught up with Set Jin Lee, who went to Camp USA as a Camp Counsellor for the first time last year, and she’s here to tell you everything you’ve wanted to know about it. Take it away Set Jin! Visiting the USA has always been one of my goals since I was little. It’s a big country and their cultures are globally spread . After living in Ireland for two years, I started of a way for me to visit during the summer holidays, not just to be a tourist but in a way that allowed me to fully engage with the American people and cultures. I then saw the Camp USA hiring advertisement on the USIT Facebook page. I didn’t wait around long to decide that I was applying for it. Within 1 week USIT sent me emails providing me with guidance for the application process and arranged an interview appointment in Dublin. I applied for the position of summer camp counsellor in July 2017 and got confirmed with the employer from Camp Lakewood located in Potosi, Missouri in late October. I was amazed by the efficiency! Camp Lakewood arranged 2 weeks staff training before summer camp began. It was actually one of the best times during the staff training as we had the opportunity of getting to know other counsellors and the support staff on a friendly level. 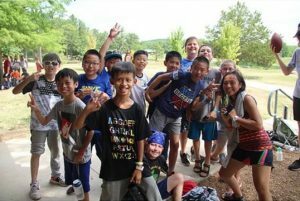 We got to experience camp life and try out activities like hiking, face painting, staying overnight under the starry sky, spelunking, and also attending professional classes such as swim drills, first aid, hygiene knowledge, and more. We also had some entertaining nights with a talent show and a group competition night, to have some fun like the campers would. When a group of young adults gather together, it’s a lot of energy, laughter and craziness! 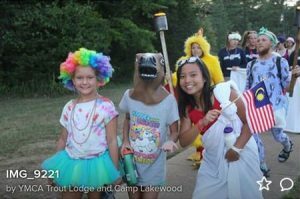 Camp Lakewood could possibly be the biggest camp in the USA. There’s so much on offer here; scenic mountains, a river, a cave, a football field, an equestrian site, and there’s also an attached resort nearby! 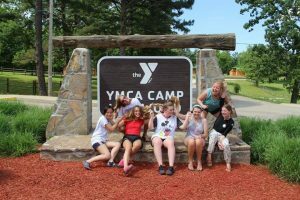 Every week we had approximately 250 campers aged between 6 and 18 years coming in to have at least one-week of camp life. One week we had the highest number of campers, which was 350 campers! Each cabin would fit 2 to 4 camp counsellors and around 10 campers. 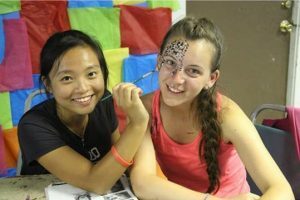 The camp counsellors did not only interact with the campers in the same cabin, but also had to host 2 or 3 clinics every day. The clinics were definitely a good chance for the camp staff to expand their talent and teach skills to the campers coming from different cabins. I did most of the volleyball clinic as I was so passionate about it! I not only taught the campers skills but also the importance of teamwork. I also did face painting and danced a lot! Another unforgettable experience for me was being a translator for 2 weeks. We had about 80 campers coming from China each week, and the other campers were mainly from the USA. The camp director asked me would I give Mandarin lessons to other camp staff during those two weeks, which I was more than happy to do. I was the main point of contact when explaining things to the Chinese campers. It might sound silly but witnessing the campers who did not speak each other’s languages saying goodbye to each other, it made me cry. It was just so touching to see such great friendships had formed, even with a language barrier. The camp was such an amazing place for starting new friendships and trying new things. Even though it was challenging at times when the campers were struggling with homesickness, they would understand and appreciate your patience and kindness. Working in the camp could be overwhelming, so you should do some relaxing activities during your off time! Every week we had one full day off and one-half day off. During our spare times we could go to the attached resort to enjoy a buffet meal for free, or if we felt like doing nothing we could also sit on the beach and watch the sunset. Some of the local camp staff who had a car would bring other people to Walmart for shopping or to visit each other’s homes. At the beginning of July we had 4 days off so some of us arranged to travel to Chicago (which was only a few hours away). After camp, most of us also had another month to travel anyway in the USA. I spent 20 days travelling mainly on the East Coast and it was the most incredible trip ever! The memories I have of the USA are endless. Lastly, I would like to say the USA summer camp is not only a job but it is also a memorable life experience. Working in the camp surrounded by all the young people and children allows you to be a child again. Additionally, spending the summer at camp means seeing the clear sky, having fireflies around at night, and swimming in the river – something we don’t get to do back at home in the city. I miss my camp life, and i can’t wait to go back!